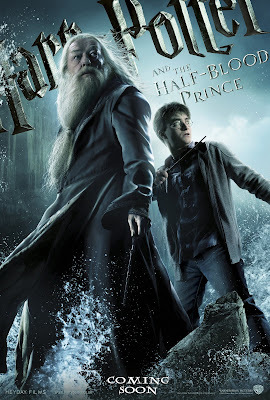 We got a heads up from our friends in Warner Bros. regarding the upcoming movie Harry Potter and the Half-Blood Prince. Warner Bros. is releasing 4 new International Posters and one trailer. 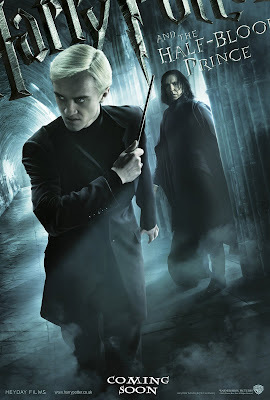 The posters of course features Danielle Radcliffe, Rupert Grint, Emma Watson, Michael Gambon, Tom Felton, Jim Broadbent and Bonnie Wright. Also released is the latest trailer that shows more scenes not included on the previous trailers. So this new trailer is a much watch for everyone. 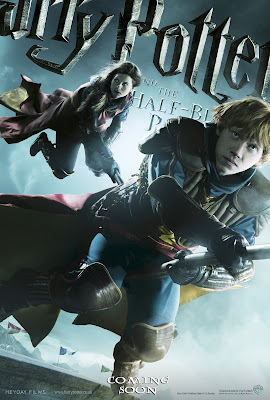 HARRY POTTER AND THE HALF-BLOOD PRINCE will soon to be released nationwide across the Philippines on July 16th, by Warner Bros. Pictures, a Warner Bros. Entertainment Company. So see you soon guys on the theaters and be ready to be enchanted. excited na ang gf ko sa movie na ito. pang-anniversary movie ito. hehehe. nice seeing you at the awesome philippines launch. hahaha ako rin medyo excited na. Konting hintay na lang. Nice meeting you too.